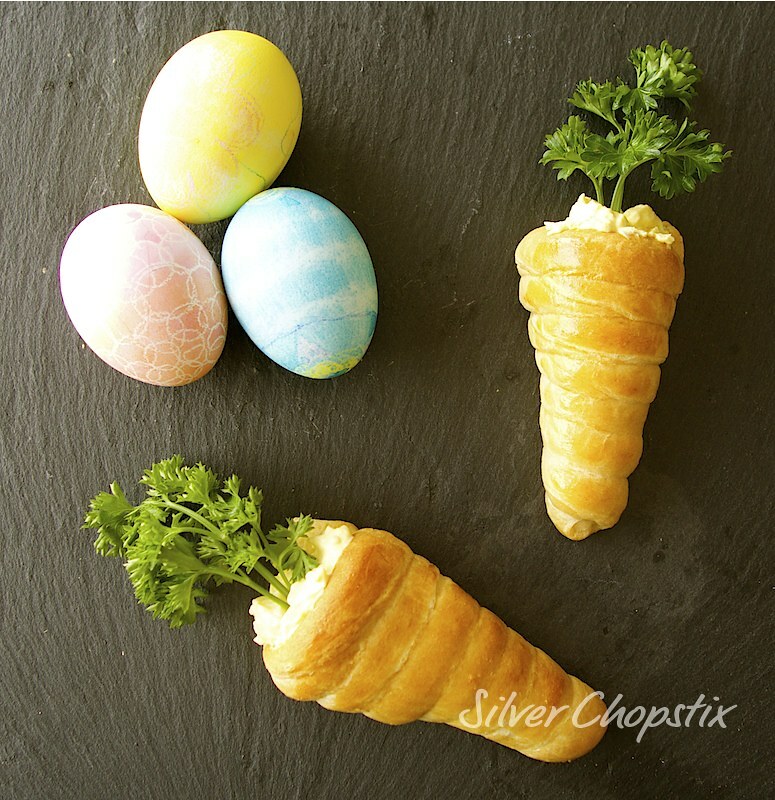 Bread cones are easy to make and would be a fun activity to do with kids. 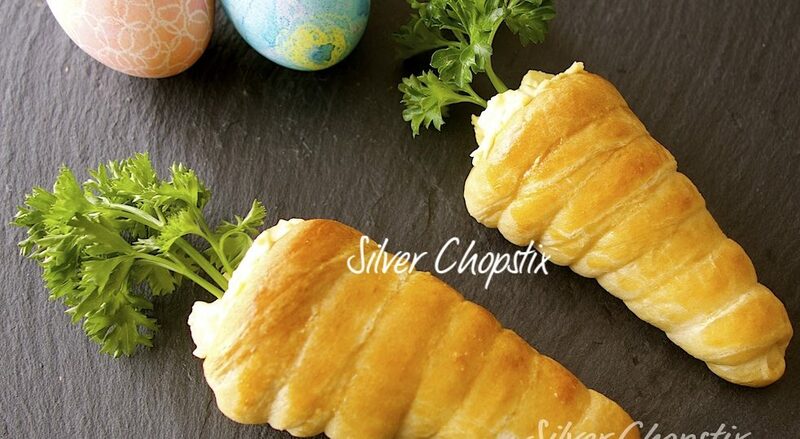 This may also be just the treat to serve for your Easter breakfast or brunch. You will need a horn mold to create the shape of your bread. I got mine relatively cheap at amazon.com. 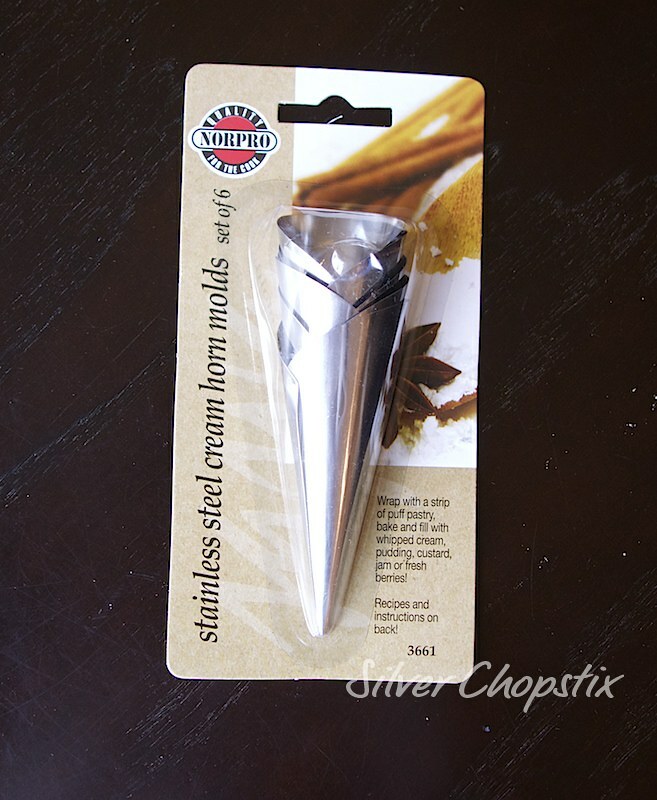 If you don’t have a mold you can make your own by using a cardboard shaped into a cone and then wrapped with aluminum foil. 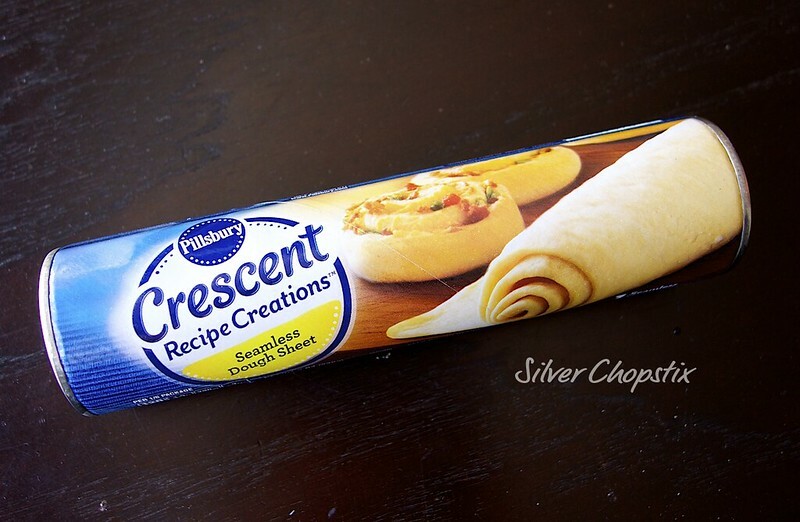 For my bread cone I just bought a can of Pillsbury crescent seamless dough sheet. 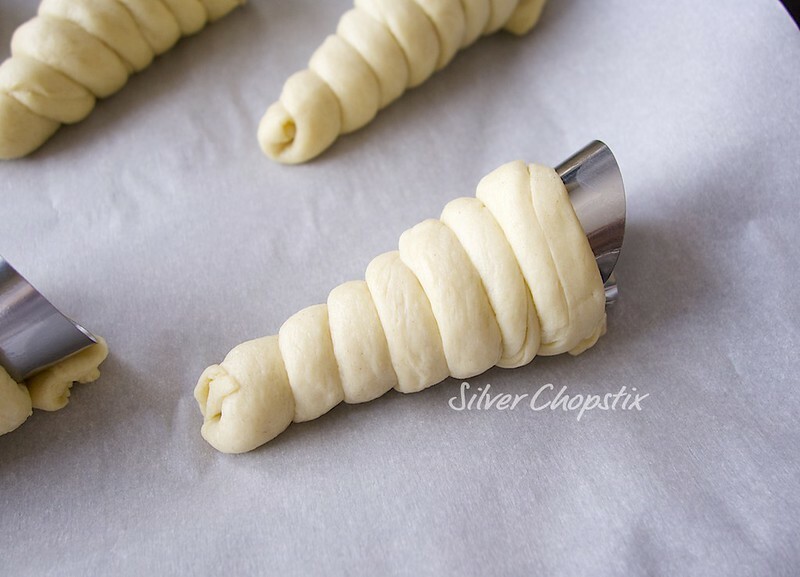 You can make your own bread dough if you prefer but the crescents work pretty well and is convenient. 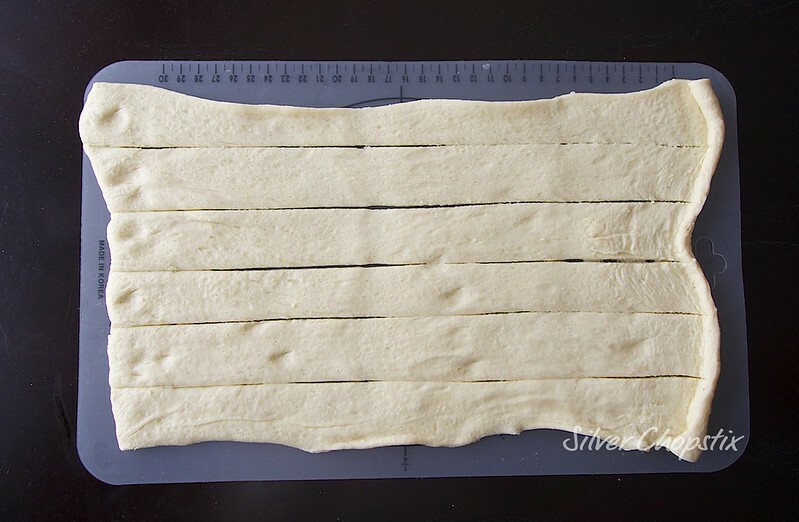 To make, unroll your dough and cut it into 6 equal lengths using a sharp knife or pizza cutter. Take one piece and roll it into a log making sure to pinch the seams together. Repeat for the remaining pieces of dough. Take your horn mold and wrap your dough log starting at the end of the cone working your way up. 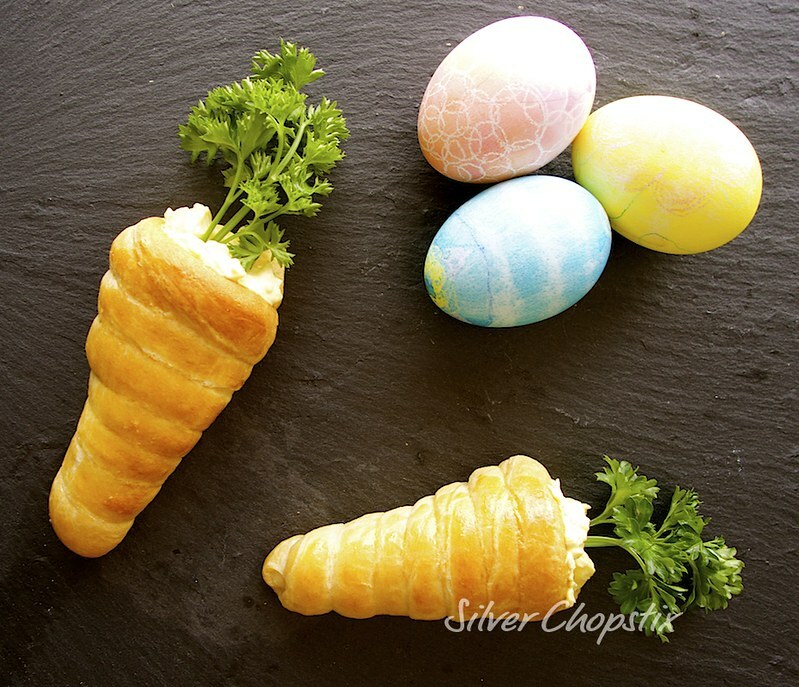 Brush your bread cone with egg wash before baking at a 375F oven. 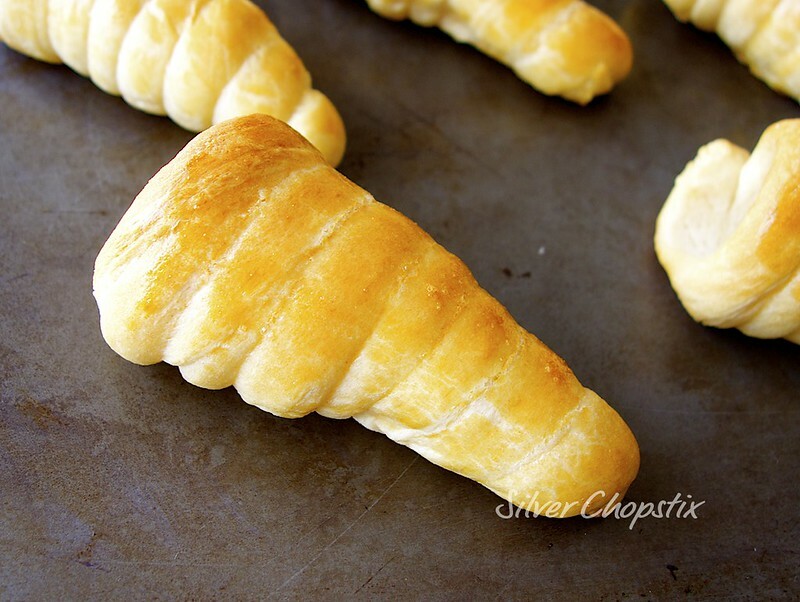 Bake until bread cone is golden brown around 10-12 minutes. Let stand until cool enough to handle then remove the mold by twisting a bit and pulling it out. The metal maybe hot so be careful when handling. I used tongs to pull the mold out of the bread cones. 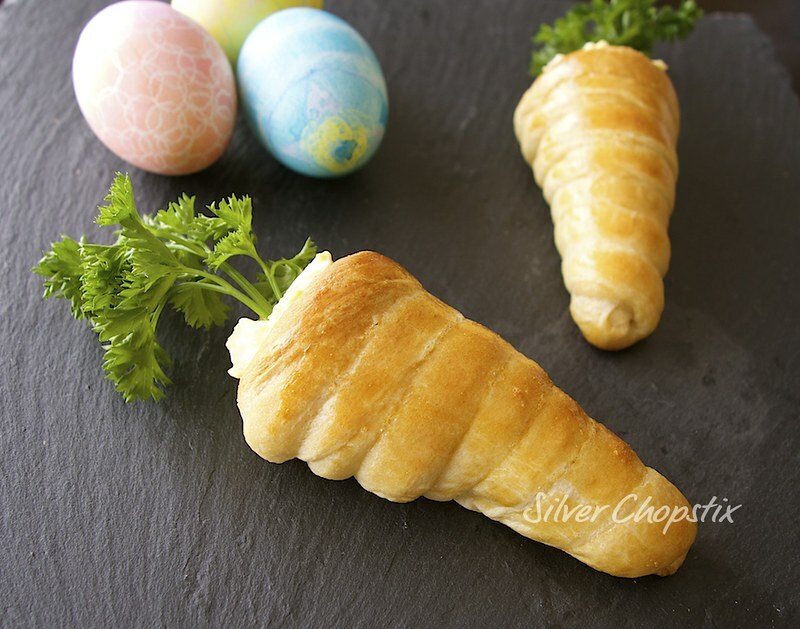 Fill bread cones with your desired filling. 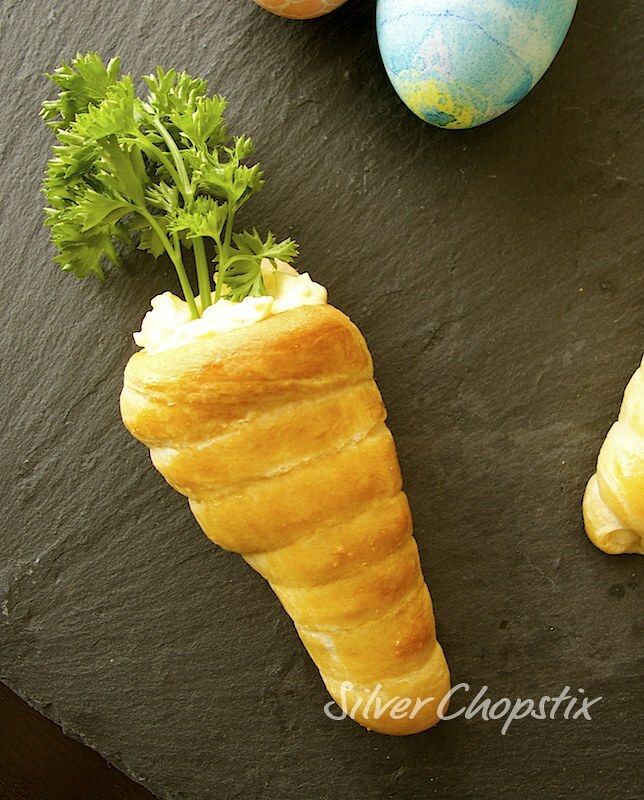 I used egg salad and decorated the top with some parsley. You can fill it with ham or tuna salad or even with chocolate or vanilla cream. Combination of fruits and yogurt is also a good choice.